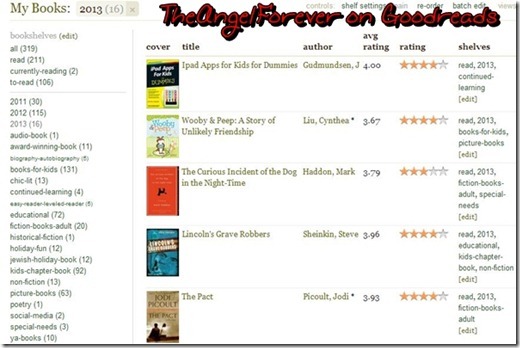 If you are into reading, then you may already know about Goodreads. If you have never heard of Goodreads, then I hope you check out this fun resource for readers that is free. Goodreads is a website that allows you to keep track of books that you have read, are currently reading, or want to read. You can sign up for free and then hook up with family or friends. A lot of authors are even on there. It’s always fun to see what others are reading or have thought about a particular book. I will admit that I often read books and then later forget if I have read them. Goodreads allows me to keep these items in lists that I make. I can categorize things by the year, type of literature, or any other topic that I make up. In addition to this, when I am ready to figure out what to read next I can check out my to-read list where I often add books that I see other people mention in their Goodreads activity, on Facebook, or beyond. 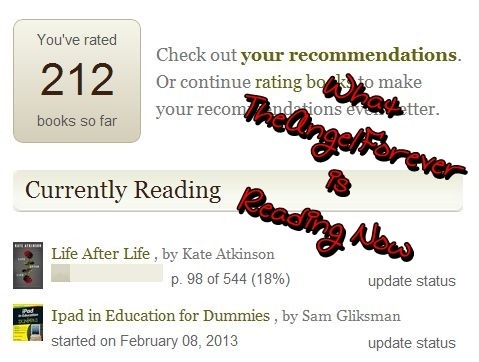 There is also a Recommendation section on Goodreads. When you click on this area, you may select a shelf that they will automate books that you may find interesting from. 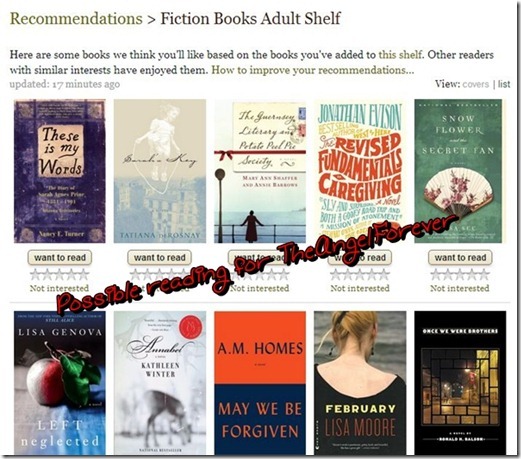 When I pushed on my Fiction Books for Adults shelf, the books below were a few of the titles that came up. From here, I can select a book, read the synopsis, and check out reviews from other readers. Goodreads also gives you some other books that have been listed with that title for other options that you may be interested in. One other “fun” tool is the ability to track your progress reading the book. I can update where I am within a book that I am currently reading. 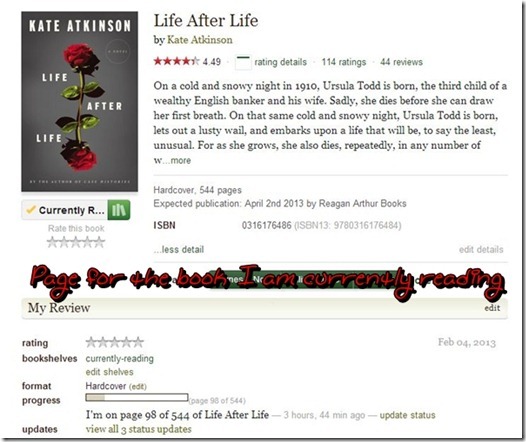 This is the page for Life After Life by Kate Atkinson that I am previewing right now. 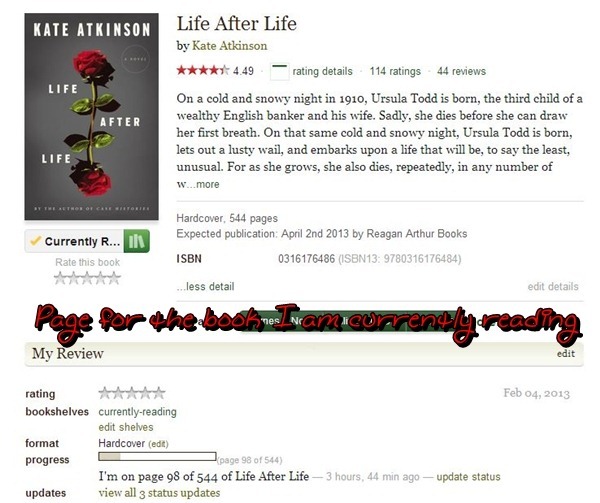 Are you a member on Goodreads or do you use another resource similar to this? I would love to hear about them and possibly catch you there. My profile on Goodreads can be seen here. As always, please share what you have read recently. Be sure to link up to your book posts in the comments below. Include something you read on your own, with a child, or someone else. Tuesday Tales are all about spreading the love for books. I have a goodreads account but I haven’t used it in years. Which is sad really because I love keeping track of the books I have read. That was my favorite feature being able to look back at everything I had read.